Are you flying into London? Wondering how to get into the city cheaply, or wanting to know how to get there in the quickest time? Want to find out the most cost-effective way of reaching central London? We’ve put together an easy-to-read guide to give you the lowdown on the best ways to reach central London from Luton, Stansted, Gatwick, Heathrow and City airports. Whether you want to know how much a taxi from Heathrow costs, whether there is a bus from Gatwick or how long it takes to take the train from Stansted, our essential guide to London airport travel will help! We’ve put together a handy visual, and then gone into more detail below to answer all the important airport transport questions. Happy travelling! If you are still looking for accommodation in London, explore the great range of apartments on our London page. Heathrow is London’s largest airport, and serves over 200,000 passengers each day. Located around 15 miles away from the Central London the airport offers excellent public transport connections, with each terminal having its own Underground station. What is the best way to get into London from Heathrow? Each airport in the city has its own “express” connection service to central London. The Heathrow Express train offers a direct route to Paddington Station in just 15 minutes, with the service running every 30 minutes. A one way adult fare starts at £5.50 when booked online in advance, and children ride for free. Tickets can be pre-booked online to achieve large discounts and avoid the long queues – click here to book your tickets. Alternatively, if you find the Express option a little out of your price range, you can choose to travel by Tube. If you pay via contactless card or oyster card this will cost just £3.10. The route follows the Piccadilly line, and takes around 50 minutes to reach the centre. Depending on how close your destination is from Paddington Station, the Express train may be the fastest option. An alternative to this is taking a taxi and getting dropped directly at your door, though time savings are likely to be minimal or nonexistent, depending on traffic. A cab fare from Heathrow to the city centre will set you back between £45 – 70. Gatwick Airport, located 28 miles south of central London, is one of the cheapest airports to fly to but can result in a bit of a trek to reach the city centre. The airport is London’s second largest airport by passenger volume, and serves more destinations than any other UK airport. What is the best way to get into London from Gatwick Airport? Fast trains connect the airport to Victoria Train Station. The ‘Gatwick Express‘ whisks passengers into the heart of England’s capital in just 30 minutes for £17.80. Running every 15 minutes, this service will have you in amongst the action in no time! The Express service is likely to be the cheapest and fastest option for your airport transfer, with the average cost of a cab being in the region of £90 for a journey that will inevitably take over an hour. 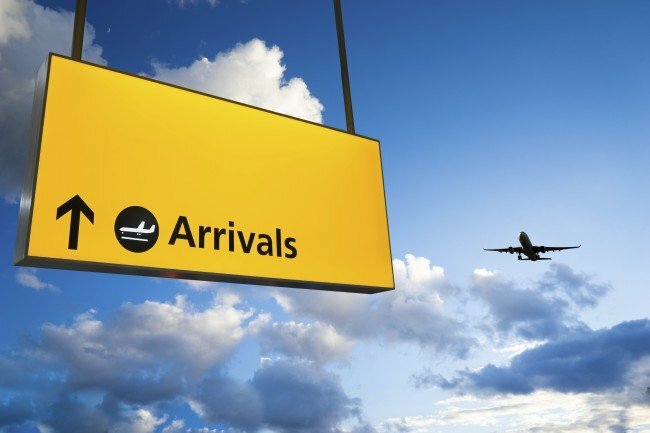 What is the cheapest airport transfer available from Gatwick? If you’re looking to save money anywhere you can, then the EasyBus may be the best choice for you. Operated by the budget airline easyJet, the EasyBus costs only £7.95 and takes roughly an hour to reach the city centre. Located a whopping 40 miles from Central London, the city’s third largest airport isn’t actually in London at all – it’s in the county of Essex. The airport operates mostly budget airlines, and around 65,000 passengers are served each day. The journey from Stansted to Central London will take around 47 minutes to Liverpool Street Station on the Stansted Express train, and costs just £16.60. What is the most affordable way to get to London from Stansted Airport? Bus services operated by EasyBus and National Express are excellent value yet take over 2 hours to reach Victoria Coach and Train Station. Booking in advance is recommended for National Express tickets and there are some excellent saving to be made. What is the quickest way to get to London from Stansted Airport? The airport’s ‘Stansted Express‘ train service is by the far the most comfortable and best value way to get into London. Provided you book well in advance, you can buy a ticket for as little as £7, and you’ll reach Liverpool Street Train Station in just 45 minutes. Serving mainly European destinations, London Luton Airport is a base for short-haul airlines including EasyJet, Monarch, Thomson Airways and Ryanair. Like Stansted Airport, Luton Airport lies outside of London in the county of Bedfordshire. How do you reach London from Luton Airport? National Express run a service from the airport to Victoria Coach and Train Station for just £5 when you book well in advance. The journey takes approximately 1 hour 30 minutes depending on traffic. Does a train service operate between Luton Airport and London? For the slightly higher price of £14.50, passengers can take a 21-minute train ride to London St Pancras Train Station. This relatively young airport boasts a close proximity to the heart of central London and is located near to Canary Wharf. Owing to its close distance to London’s financial districts, the airport mainly serves business passengers. How do I reach central London from London City Airport? It takes very little time to travel from the airport into London. A taxi will cost around £33 and most places in central London can be reached in less than 30 minutes. Is London City Airport connected to the London Underground? Trains from as little as £4.80 also connect the airport with the city’s underground tube network too. More information on the public transport options available from City Airport can be found here. Group day travel cards are available for the London Underground system. Unlimited travel is possible across London’s tube system and they represent good value for those travelling in groups of 10 or more who are staying in one of the city’s outer transport zones. Tickets can be purchased only from Overground stations and are valid during off-peak times. Tickets cost £8 for adults and £4 for children and any combination of adults or children is permitted. Discounts are available on several of the ‘express’ services. For example, the Gatwick Express offers a £25 discount for couples, a 3-for-2 discount (which can save you up to 33%). A 4-for-2 deal results in a saving of 50%. A group saver deal available on the Heathrow Express shaves 33% off the total cost. Need some tips on how to spend a weekend in London? We’ve written a blog post especially for you – read it here.